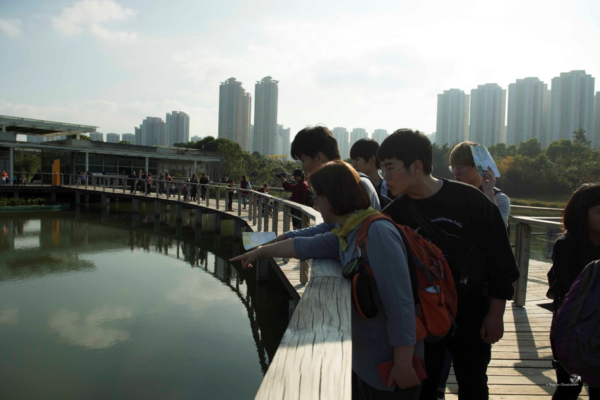 Event title:World Migratory Bird Day Event Organizer:Nature Conservation Society Participants: Nearly 1200. Most of them were school and college students & members of the local community Outcome:- Mass awareness for youth and local community for the conservation of wetlands and supported species, specifically migratory birds.- Motivation of policy makers, social and media personnel.- Conservation education program for school and college teachers. Summary:In Bangladesh World Migratory Bird Day 2018 was celebrated in a colorful way. The main event was conducted in Shunamgonj. On 10th May a colorful rally was organized by Nature Conservation Society with the help of local Forest Division followed by a seminar at Shaheed Abul Hossain Auditorium, Shunamgong. Near about thousand took part in that rally in which most of them were school and college children & haor community people. Representatives from District Administration, Police Department, NGOs, College and School, Co-management Council, Local Government, Forest Department, Fisheries Department, Environment Department and University teachers were also present as the resources person of that program. 03 presentations on Migratory Birds & Biodiversity of Wetlands were presented in the seminar. At the end of the seminar, a shot drama was presented by the Nature Conservation & Study Club of Jagannath University on the importance of migratory birds and wetland. The aim of this program at the migratory birds habitat site was to raise awareness and the get involvement of next generation of the local community towards conservation of migratory birds and its habitat. For more photographs, visit our Flickr album. How did the EAAFP Secretariat celebrate WMBD in May 2018? The East Asian – Australasian Flyway Partnership (EAAFP) has been celebrating the World Migratory Bird Day (WMBD) from 2006 to raise awareness of the importance of the conservation of migratory waterbirds and the sustainable management of their habitats. This year, 2018, the EAAFP Secretariat held two major events under the global WMBD theme of “Unifying Our Voices for Bird Conservation” in the Republic of Korea (ROK) where the Secretariat office is located. The first was a WMBD Student Seminar at the War Memorial of Korea, and the second was a WMBD Reception at the Grand Hyatt Seoul. Additionally, WMBD Small Grants were provided to 5 country Partners of the EAAFP, and posters were distributed to more than 40 national wetland centers in the ROK. WMBD Student Seminar On 11 May 2018, with the sponsorship of National Geographic Society-Asia, a WMBD Student Seminar was organized in very fine weather at the War Memorial, Seoul. The young enthusiastic students and local citizens from 1 middle school, 8 high schools and 6 universities gathered at the seminar to learn about the wonder of waterbirds migration and the importance of the conservation of the birds and their habitats through talks, multimedia, and the group discussion. Four active bird conservationists in East Asia were invited to give inspirational lectures on the occasion of the World Migratory Bird Day and National Geographic’s Year of the Bird Campaign. The event began with the participants taking a tour of the National Geographic Photo Ark Exhibition, before being divided into six groups for group discussions on the EAAFP’s key species and the Year of Knots (2017-2018): Spoon-billed Sandpiper, Baer’s Pochard, Black-faced Spoonbill, Scaly-sided Merganser, Saunders’s Gull and Red Knot and Great Knot. Under the guidance of the invited speakers and facilitators, each bird named groups learnt about the characteristics (appearance, ecology, migration and conservation) of the key species. After a short discussion, the representatives of each group presented their birds and even suggested creative conservation method based on the birds’ ecology and migration. It was a great chance for young future conservationists to realize the importance of people’s interest in conserving the waterbirds with different measures. WMBD seminar group discussion ⓒEAAFP The last part of the Student Seminar was civil science lectures from the four speakers. Before the speech, a new EAAFP Introduction video was shown to convey the importance of flyways and the achievements of the EAAFP. Dr. Lew Young, Chief Executive of the EAAFP Secretariat and Mr. Jay Lee, Executive Director of National Geographic Society – Asia delivered welcome speeches. After that, Dr. Youngmin Moon, a Korea project coordinator of Birdlife International, delivered a talk entitled “Why birds matter” and emphasized on stopping the human-induced rapid decline of avian population. Mr. Terry Townshend, a passionate conservationist based in China, shared his experience in tagging GPS device on swifts and cuckoos in Beijing, and showed the amazing migratory routes of these birds through the tracking results. Ms. Emilia Lai, a young shorebird conservationist, introduced the Great Knot and Red Knot including their migration and talked about the importance of mudflats. Finally, Dr. Changyong Choi, a Senior Researcher in Seoul National University, focused on the threats facing murrelets in the R.O. Korea, such as from exotic predators such as cats, gillnet bycatch and oil contamination. However, more studies are needed to understand murrelets and to implement adequate conservation actions. WMBD seminar group photo ⓒEAAFP More pictures and result papers of the group discussion can be found in the EAAFP Flickr account. WMBD Reception In the evening of the same day, the EAAFP Secretariat organized a reception to celebrate WMBD in Seoul Grand Hyatt Hotel. 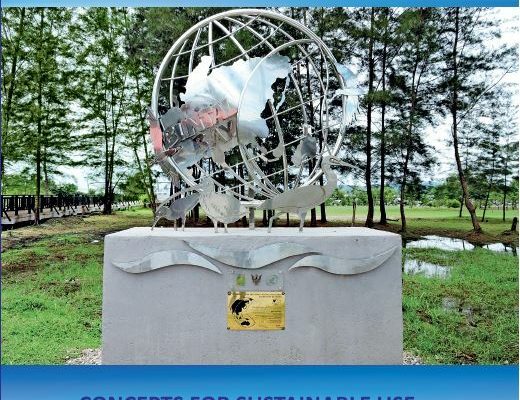 The objective of the event was to raise awareness on the need for international cooperation to conserve migratory waterbirds and their habitats in East Asian-Australasian Flyway (EAAF). Approximately 70 participants gathered at the reception to celebrate the WMBD, including representatives from the Embassies of the EAAF Country Partner, Ministry of Environment, Ministry of Oceans and Fisheries, National Institute of Biological Research (NIBR), other governmental organizations, international and multi-lateral organizations, NGOs, universities, research institutes, and private companies. The diplomatic representatives included H.E. Mr. Wei Kiat Yip, the Ambassador of Singapore, H.E. Mr. Andrew Yamanea, the Ambassador of Papua New Guinea, as well as representatives from the Embassies of Australia, Cambodia, Japan, Malaysia, Myanmar and the United States of America. The reception began at 17:30 in Namsan III hall with an opening remark by Dr. Lew Young, the Chief Executive of the EAAFP Secretariat. He welcomed the guests and opened the floor by explaining the significance of the EAA Flyway. 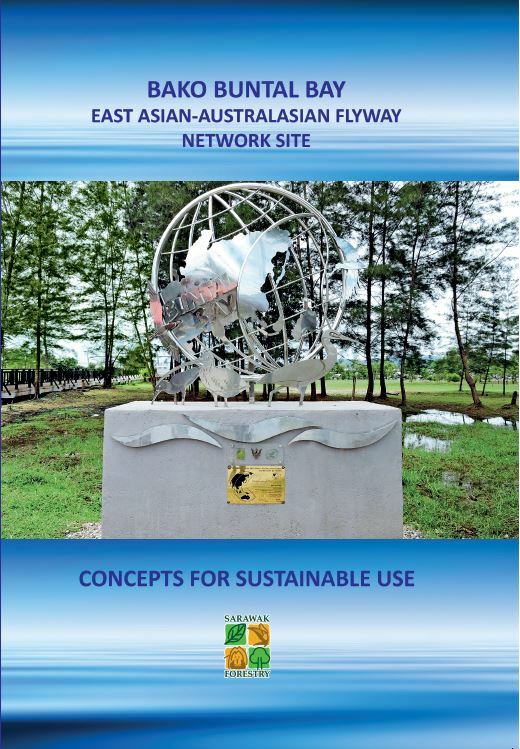 He said “East Asian-Australian Flyway is used by some 50 million waterbirds from 200 species. These birds are now flying to their breeding grounds as far north as the Russian Far East and Alaska and along the way, many will stop off to rest and refuel at one of many sites, including the critically important tidal-flat sites around the Yellow Sea.” He thanked for the strong cooperation made by EAAF Partners, government of Korea, international organizations, NGOs, research institutes and the private sector while urging continuous support. “More needs to be done to conserve these wonderful migratory waterbirds and their habitats, and one of the important steps is to raise greater awareness, such as through events like the WMBD” he added. Dr. Lew Young, the Chief Executive of the EAAFP Secretariat ⓒEAAFP Following the opening remark, Dr. Minhwan Suh, the Acting President of the National Institute of Biological Resources(NIBR), delivered a congratulatory remark, stating the role of the Korean Peninsula in conserving migratory waterbirds and biodiversity in the region. 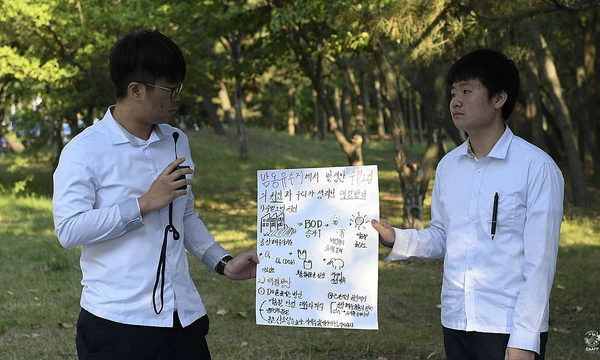 “The Korean Peninsula, located on the East Asian-Australasian Flyway, plays an important role as a stopover of many migratory birds along the flyway,” he said. After the remarks, two videos regarding East Asian and Australasian Flyway by EAAFP and Birdwatchers by Sony Korea were played. Sony Korea provided sponsorship cameras (model: RX10 IV) to EAAFP in celebration of 2018 WMBD. These will be used for bird watching and wildlife photography. Ceremony with Sony ⓒEAAFP Group photographs were taken, firstly with the diplomatic representatives and then secondly with all the participants. Afterwards, a light buffet dinner was served over the scenic view of central Seoul. The participants freely mingled and networked with other participants. WMBD reception group photo ⓒEAAFP More pictures can be found on the EAAFP Flickr account. EAAFP WMBD Small Grants & Social Media Campaign To encourage developing countries in EAAF to celebrate 2018 WMBD, the EAAFP Secretariat supported WMBD events in Bangladesh, Cambodia, Indonesia, Mongolia and Vietnam through 2018 EAAFP WMBD Small Grants Programme. Ranging from government body to local citizen of the EAAF sites, each country came up with national and regional plans for WMBD celebrations. The Secretariat is very grateful for the active support by EAAFP Partners for the global WMBD campaign along the EAAF. Click here to see different languages of the 2018 WMBD theme and posters. Click here for more information on WMBD 2018. 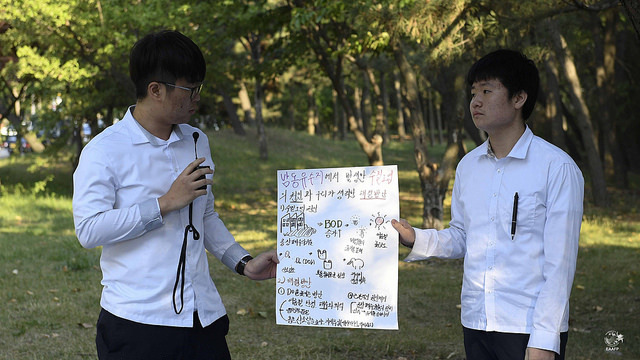 In parallel, the EAAFP Secretariat coordinated a national Instagram campaign which distributed the Korean language version of the WMBD Poster to national wetland/bird/ecology centers, NGOs, etc., and if people take photos with the posters in a creative way, they would win a small gift prepared by the EAAFP Secretariat. As from 2018, the WMBD will be twice a year, on the second Saturday in May and in October. The EAAFP Secretariat will continue supporting 2018 WMBD theme by encouraging Partners to organize events and campaigns to conserve migratory waterbirds and their habitats in our Flyway! Birdlife International has just released their ‘State of the World’s Birds 2018’ report [link]. This provides statistics showing that at least 40% of bird species worldwide (3,967) have declining populations, compared with 44% that are stable (4,393). The cause of the decline was put on agricultural expansion, logging, overexploitation, urbanisation, pollution, disturbance and the effects of invasive alien species. Longer term, human-induced climate change may prove to be the most serious threat of all. Most species are impacted by multiple threats and many threats are interrelated. In the EAAF region, unsustainable and poorly planned infrastructure development is highlighted as one of the main causes of the decline of bird numbers. The intertidal habitats around the Yellow Sea is one of the most important stopover sites along the EAAF, used by tens of millions of long-distance migratory shorebirds to rest and refuel. Unfortunately, the area’s mudflats have been progressively lost to land reclamation for agriculture, ports, industrial developments and urbanisation. Two-thirds of the Yellow Sea’s intertidal habitat has been reclaimed since the 1950s. In China, nearly 40% has been lost since the 1980s. Shorebird population declines have been estimated at 43-78% over the last 15 years, with Great Knot Calidris tenuirostris populations having declined by over 80%. Ultimately, human overconsumption lies behind the global biodiversity crisis and efforts to identify, conserve and restore critical habitats for birds is already showing that the decline can be slowed. Education and awareness raising is another important tool to convince the wider community of the importance of bird conservation and to take appropriate action.